Heading somewhere chilly this winter? You don’t need to be hitting the slopes to require functional-yet-warm travel clothes. The must-haves fit right into your everyday winter clothing wardrobe. Here are the core winter clothing items to check off your packing list, whether you’re skiing and snowboarding or simply exploring an urban winter wonderland. Toasty winter clothing is key in snow and wind—but should include a breathable base layer that won’t have you sweating once you make it inside. Start with a comfortable winter layer that breathes, like a cotton turtleneck or thermal. For women, Everlane’s Pima Stretch Turtleneck looks and feels cool by the fire. 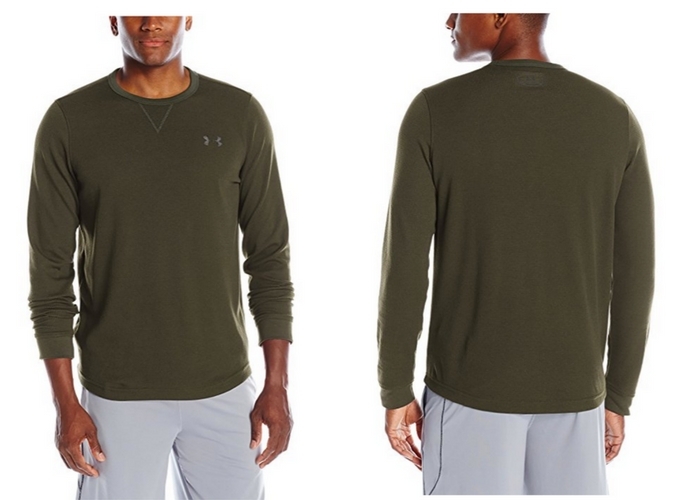 For men, Under Armour’s Waffle Crew wicks away sweat with quick-dry material that comes in all your favorite colors. Casual outdoor adventures call for jeans with warm insulation that looks on-trend: For both men and women, Eddie Bauer flannel-lined jeans are great for camping or cold-weather tailgates. 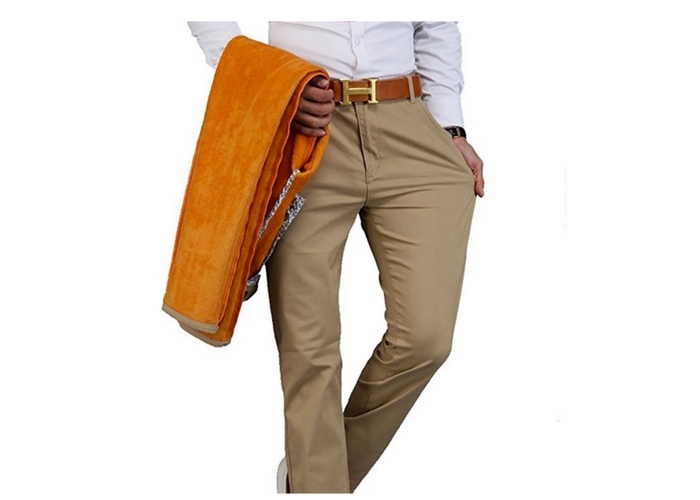 For a more business-appropriate winter clothing option, Peacoco fleece-lined trousers look like your average pair of chinos. Women can simply layer their favorite bottoms with a thin liner like Lume Smart Leggings, which can also replace tights with a cozy dress. Investing in a cozy statement sweater or jacket makes for a great apres ski accessory that also serves as an optional layer for extended cold-weather wandering when you need it. 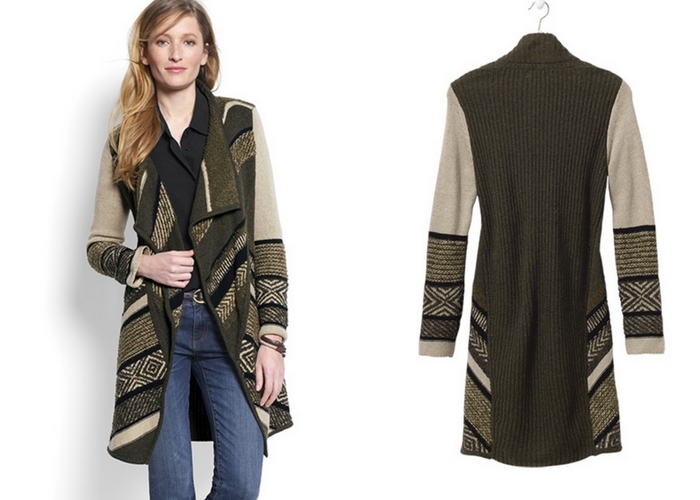 I love Orvis’ Intarsia sweater coat for layering with long jackets and as a statement piece once I’m indoors. For men, a half-zip turtleneck made of softer Merino wool like this Orvis Merino quarter-zip is adjustable enough to layer under a coat or simply pair with an undershirt. If you prefer your winter clothing to be performance-focused but fashionable, invest in a high-tech travel hoodie instead. For women, Betabrand’s Knockout travel hoodie is perfect for the plane—its faux-fur-lined hood doubles as an eye mask and looks stylish. 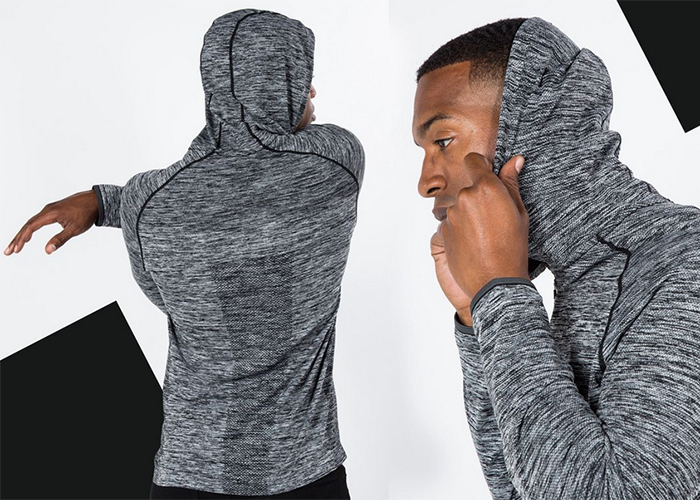 For men, the sweat-wicking no-sweat travel hoodie is on-trend athleisure that’s functional and pairs with virtually any coat or sweater. A non-bulky jacket is a key component of your winter clothing travel wardrobe, and the best ones have features that can double as an extra accessory. 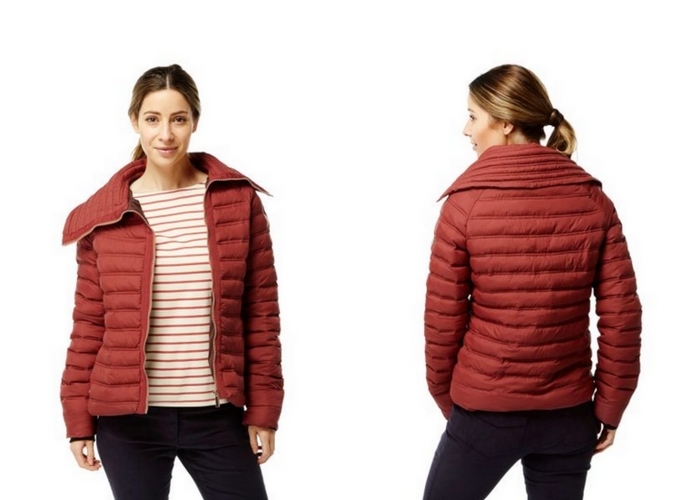 Craghoppers’ Moina jacket has a unique, long zipper that gathers the extended collar as high on your neck as a scarf would go, so you can leave the hotel with one less item. For men, Patagonia’s Nano Puff Hoody folds down small and has an elastic-gathered hood in case you forget your hat. 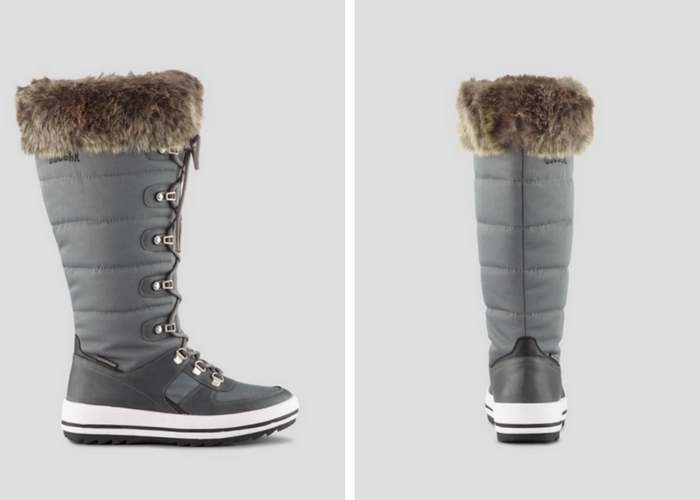 Whether you need durable boots for deep-snow adventures or a streamlined city boot that can weather slush and salt, Cougar’s waterproof options have you covered. Rain shoes like the Kerry Chelsea boot can replace your clunky rain and snow boots, and can stylishly transition into a nighttime boot. For outdoor pursuits, an option like Cougar’s Vesta Nylon snow boot could be a great fit—they’re waterproof, anti-slip, and temperature rated, plus they’re more stylish than you’d expect of a snow boot. Stash a soft scarf in your carry-on bag and you’ll have an accessory that can save your face from high winds and double as a warm blanket on the plane. 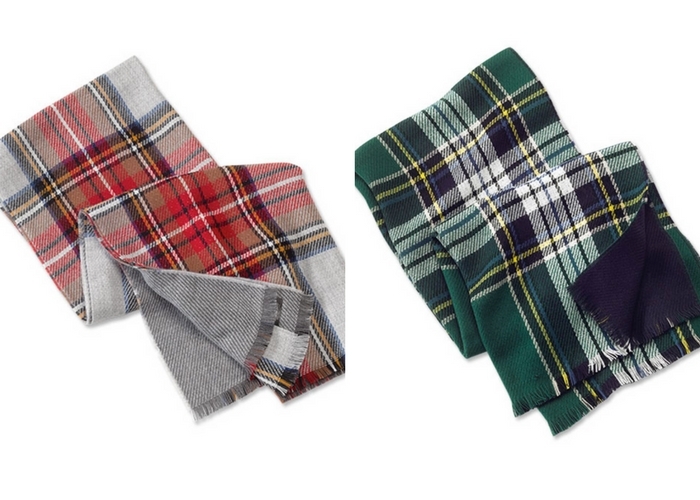 Orvis’s warm yet lightweight options, like this reversible Double-Faced Merino/Cashmere Scarf or this Plaid Blanket Scarf, come in versatile colors and patterns for both men and women. If you’re wearing sweatpants on the plane, choose a durable pair that can weather travel and will keep you warm while looking chic. 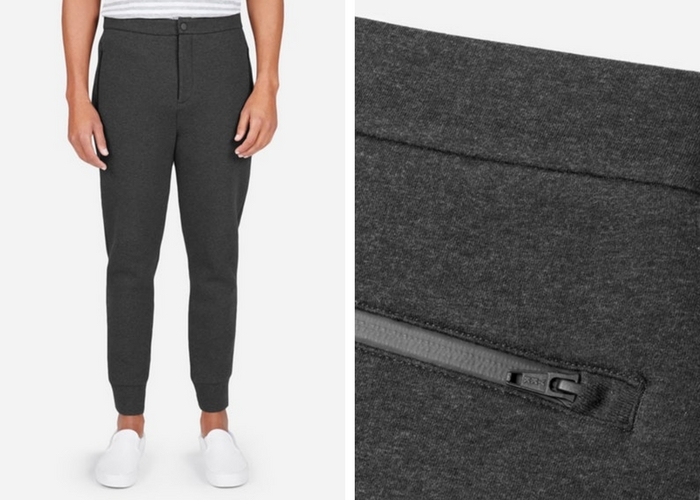 Everlane’s cashmere and fleece options like the Men’s Street Fleece Pant and Women’s Cashmere Sweatpants look and feel a lot more travel appropriate than anything you’d fish out of your activewear drawer, and will be a hardworking part of your winter clothing wardrobe. Ski mittens aren’t appropriate for daily use, especially when you’re trying to use a smart phone. 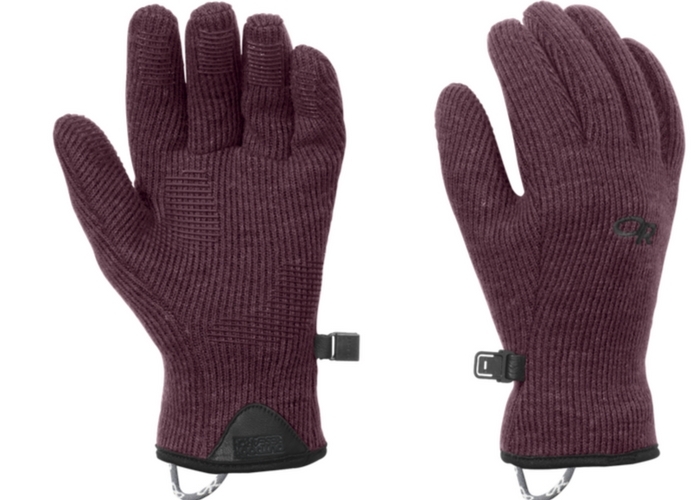 Instead keep a pair of streamlined, touch-screen-friendly gloves in your winter clothing line up—like Outdoor Research’s Men’s PL 150 Sensor Gloves and Women’s Flurry Sensor Gloves. Both are cozy yet flexible, and have smartphone-compatible fingertips.